Raining Cats and Dogs – I put 1-2 pieces during the weekend. Celtic Solstice – I was consumed with finishing step 5, then started step 6. Moon Glow – prep the label and the back. Hampton Ridge – Get the borders on. 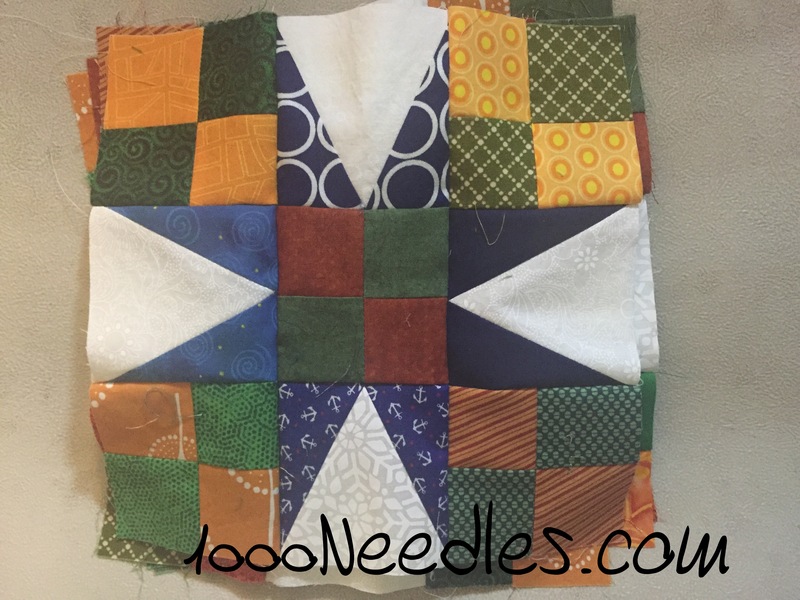 I haven’t moved forward on these is because I still have 2 quilts before Moon Glow ready to be quilted so I’m not in any rush to get Moon Glow to #3 on that list. The same goes for Hampton Ridge. Raining Cats and Dogs – continue doing what I’m doing, which is applique 1-2 pieces every weekend. And for BOM Away Monday – I was able to get more of these Blocks done for Celtic Solstice. And I was able to mark up the top of the final block of Raining Cats and Dogs. Ooo – pretty woodland-y colors for your Celtic Star. 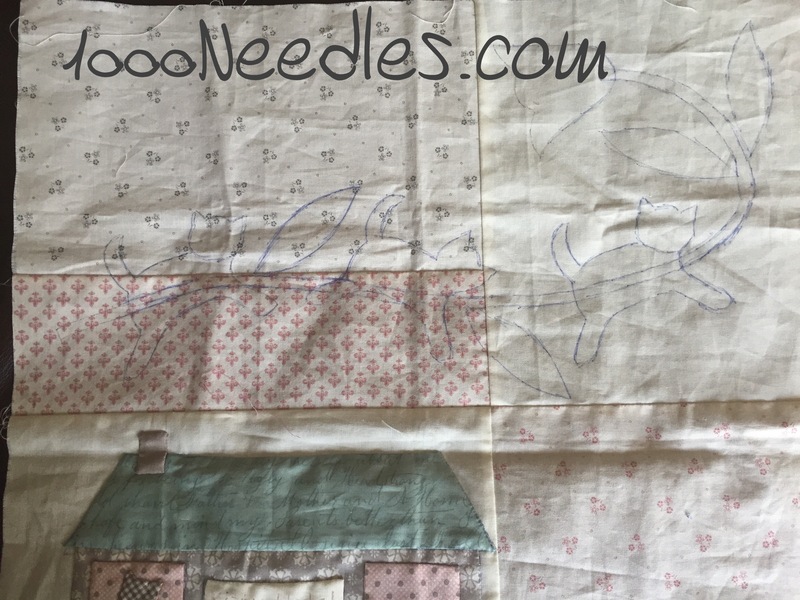 Hey, Melanie – how do you mark for your applique? I had to mark up my daughter’s DWR for quilting, and used the lightbox to trace that. But the fabric has some pull, you know? So it was impossible to be perfectly precise. I can correct for that during the quilting stage, but it bothered me in terms of future stitchery projects. I do exactly as you said, I take a frixion pen and use a lightbox to trace onto the fabric. And you’re right – there is pull and not as precise as I want it. However, I’m more precise on the small pieces that I cut out. I’m not inclined to be perfect on the background fabric. Those lines are more of a guideline. But the lines on the actual piece I’m appliqueing are more defined and precise. Oh, fabulous! I look forward to seeing the finish of your cats and dogs. I really like what you’re doing with Missing Ivy. That looks fabulous! Love the scrappy Celtic star! Came by way of Main Crush Monday link and am new to your blog. Will be sure to come back!